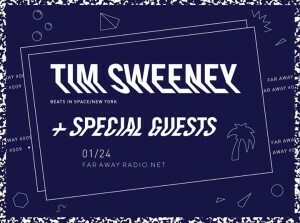 Far Away returns for 2014, kicking off with a special night of dancing with ESP Institute and Beats In Space featuring the talents of Tim Sweeney (Beats In Space), Blase, Lovefingers (ESP Institute) & Cooper Saver. 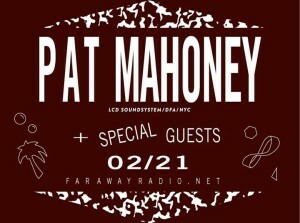 Far Away and Beat Electric join forces for a special night of music in Los Angeles featuring the talents of Pat Mahoney & Museum of Love. 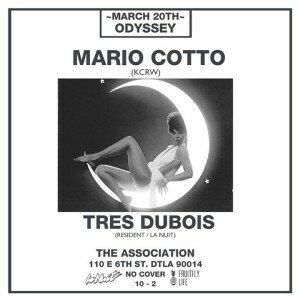 Left-field, post-punk, cosmic, italo, boogie, no-wave, disco & more, all night. Buy, sell, trade, contribute, hang, dance, drink, and listen. There is no cover, and no charge to bring records (or cassettes) to sell, but everyone is encouraged to contribute to the pool. 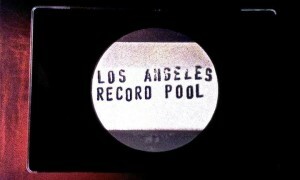 Yes, there will be a community record pool that everyone is welcome to. Risky Vision starring Kyle Hall, Cromie, Sage Caswell & Jeniluv. Damsels who cause distress. Men who crave orange zest and cigarettes. 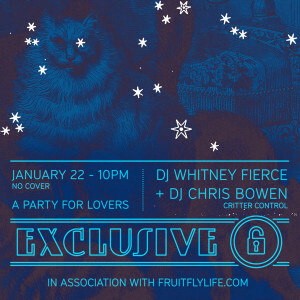 Our nighttime, lascivious business belongs in LA’s shadows, nestled with deep sounds. Come hide. Alley behind 819 S. Flower St.